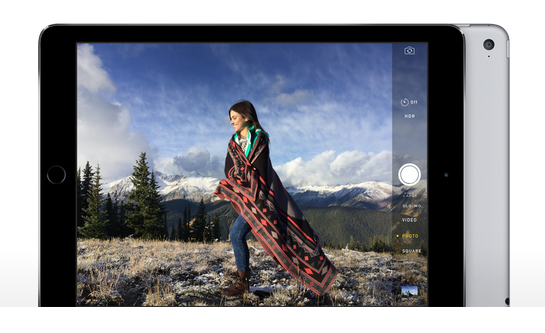 iPad Air 2 is out with a stunning video introduction from Apple. The slate is compared to a chiselled pencil, only thinner at 6.1 millimeter. Of course, this sixth iteration of Apple's 9.7-inch slate is the star of last night's Keynote event bringing in a bucket-full of new features to the portfolio of devices that defined the tablet industry. We’ve got you covered with all the points that you need to know with Apple's second generation iPad Air but before that, check out this intro video. 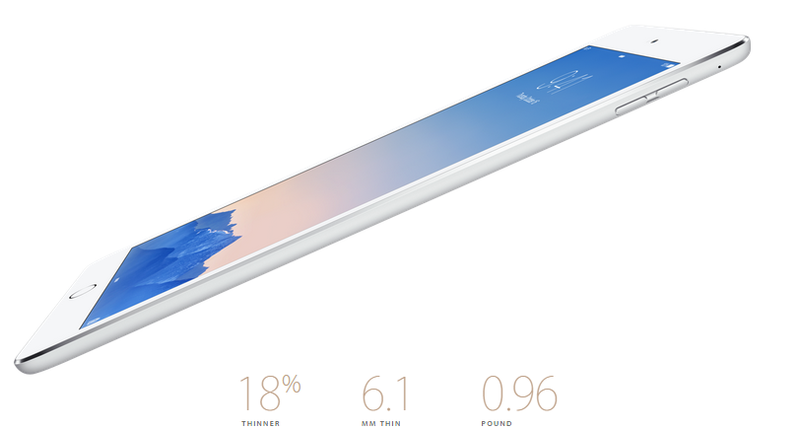 Currently, the iPad Air 2 is the gold standard of all the slates in the market. Its 9.7-inch is dubbed as the perfect form factor in this device category. The display tech is now 56-percent less reflective than before with the same screen resolution as the original iPad Air. To some extent, the device may not have the Retina HD of the iPhone 6 duo but Apple deems that the current 2048 x 1536 pixel is stunning enough for our eyeballs. 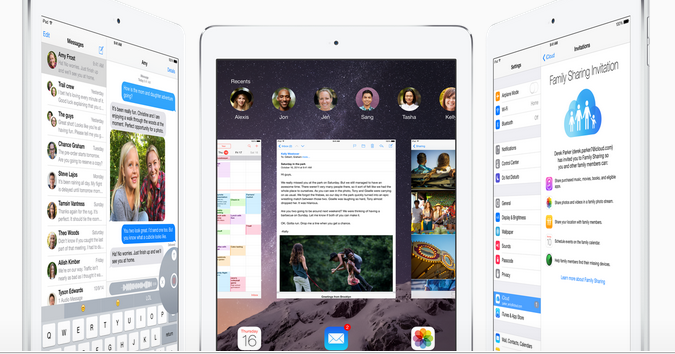 Yes, the iPad Air 2 has the same form factor as its predecessor. However, its 6.1-millimeter depth has some design trade-offs like the shedding off of the mute toggle at the side of the device. This brings a 16-percent thinner slate than before. Just like the previous iPad 4 and iPad 3, the new iPad Air touts a custom-variant of the existing processor that can be found in the iPhones. As of this case, the A8 chip has been up-scaled to a more profound A8X chip. It is 40-percent faster in terms of CPU speed and 2.5-times faster in graphics than the A7 chip found in the iPad mini 2 and iPad Air. Of course, after making its debut in the iPhone 5s last year, the Touch ID sensor is now in the iPad. This allows the slate to skip the passcode entry stage in device unlocking, App Store purchase and third party apps user authentication. Ad yes, It’ll also be used in Apple Pay. You will have the 8-megapixel with f/2.4 iSight camera in this year's 9.7-inch iPad which makes it more of a legit camera-device like the iPhone. Camera software has also been improved with the Burst Mode and 120 fps Slo-Mo for videos that we have seen in iPhone 5s. Likewise, you can also have 43-megapixel panorama shots and Timelapse in this slate. The front-facing camera also received shiny new tweaks. There's the new FaceTime HD sensor to improve face detection and HDR videos. The iPad Air 2 supports a faster WiFi technology with the 802.11ac support. You'll also get multiple-in multiple-out MIMO antennas which are rated up to 866Mbps rate. The device also supports a new LTE bands of up to 150 Mbps speed. In terms of battery, Apple preserved the 10-hour battery life of the slate. Apple manages to get a hold of the same configurations as of the iPhone 6 line. The slate will also have 16GB, 32GB and 128GB options for you to choose from with Space Gray, Silver and Gold hues. The tablet also comes with iOS 8 out of the box. The base model, 16GB WiFi, starts at USD 499 with the 128GB WiFi plus Cellular hitting the USD 829 mark. Check out the list below for more details.